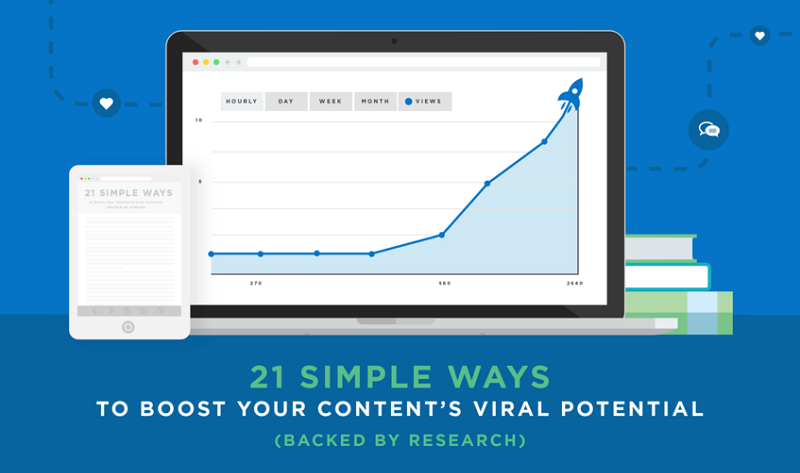 "When a piece of content goes viral, there’s no magic or luck involved. According to new research (by Backlinko), viral content tends to contain specific elements that push people to share." This infographic illustrates 21 of those elements. Online readers only read 28 percent of a blog article, so you need to hook them fast. But how? Simple. Use short sentences! According to Dr. John Morkes, short sentences boost content readability by 78.6 percent. Skyward research found that content with at least one image generated 94 percent more view on social media. Start leveraging the power of visual content. Get Emotional: The Journal of Marketing Research found that content that elicits the emotions (e.g Awe, Anger or Surprise) was 82.6 percent more likely to go viral.